From our friends at the National Archives and Records Administration (NARA)! An always great opportunity to learn about federal records and just how valuable they can be to your genealogy research. Captioning: Live captioning will be available online. If you require an alternative or additional accommodation for the event, please send an email to: [email protected] or call 202-357-5260 in advance. 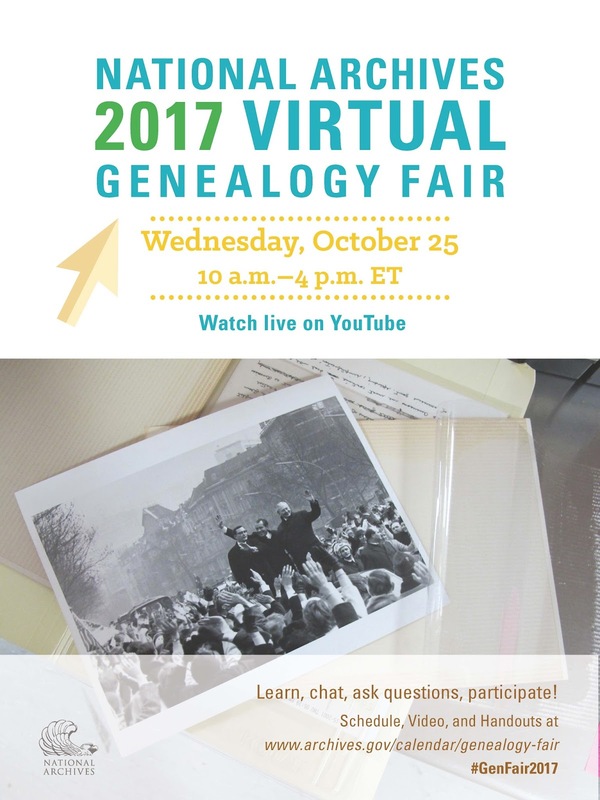 What federal records group would you most like to learn about?